Disqualification flow is a critical part of fair and optimum Supernode sample selection. Please review the current proposal and comment. GRAFT is a blockchain based payment processing network the functions similarly to a credit card processing network with off-chain authorizations and in-network atomic swap based interchanges. The network is completely decentralized, able to work cross borders and adapting to local regulatory environment. In addition to decentralization, GRAFT solves four biggest problems that exist in cryptocurrency at a point-of-sale today – privacy, speed, fees, and integration. Technically, GRAFT Network is a two layer (proof-of-work and proof-of-stake) blockchain with proof-of-stake based authorizations and economically incentivized participation with opportunities for mining, authorizations, in-network exchanges, gateway hosting, merchant services, etc. GRAFT is open-platform, open-source, community project. Opportunities are available to invest in GRAFT project with additional funds going towards marketing, liquidity (exchanges), additional dev resources, and new initiatives. If you are a qualified (accredited) investor who’s interested, please contact us at invest@graft.network and we will work to match you up with an appropriate investment option. And of course we will never say no to project donations, providing you with lots of karma points (and an honorable mention on GRAFT site). To donate please send an email to info@graft.network and we will generate a unique donation address for you. 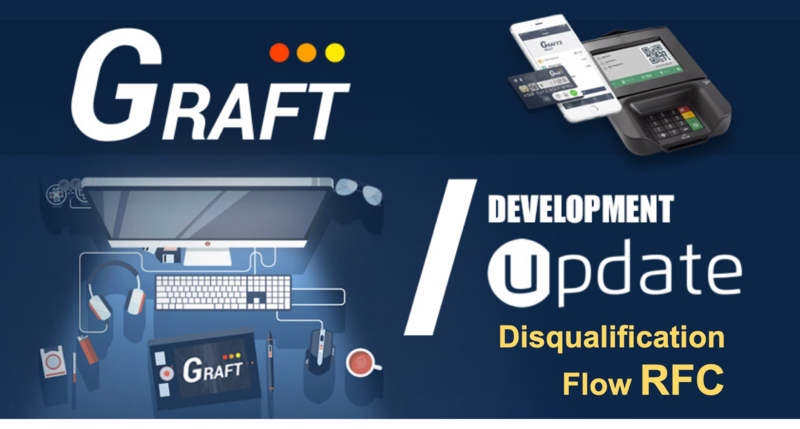 GRAFT Blockchain is an open source, de-centralized, open-platform, community project with no explicit warranties or support from GRAFT Foundation. Play a part in payment revolution!